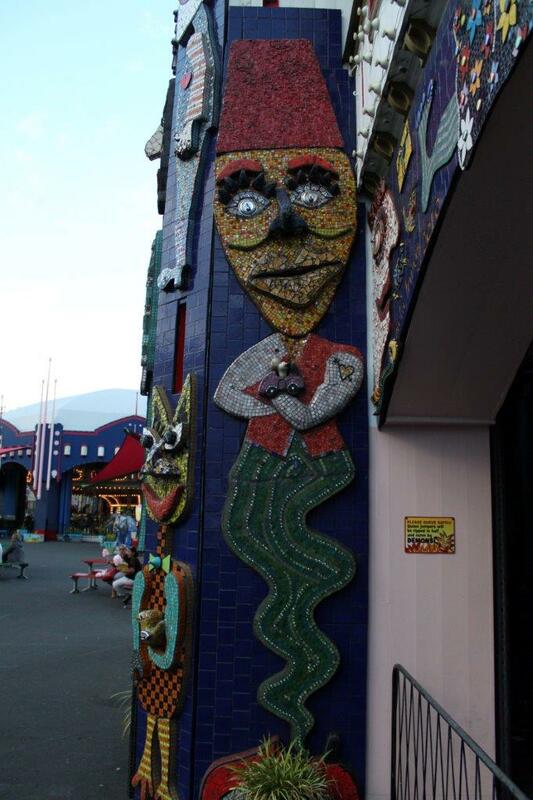 ‘Dreaming with Open Eyes’ – a sculptural mosaic installation at Luna Park, Melbourne, by Pamela Irving. Dreaming with Open Eyes is about serendipity and destiny. “For years I had fantasized about creating a large scale installation in Melbourne. My aesthetic has developed over three decades. It reflects interest in myth, bold use of colour, whimsy and the figurative and narrative traditions. This has culminated in the creation of my own cast of quirky characters. My inspiration has been taken from diverse sources and gathered from extensive travels. 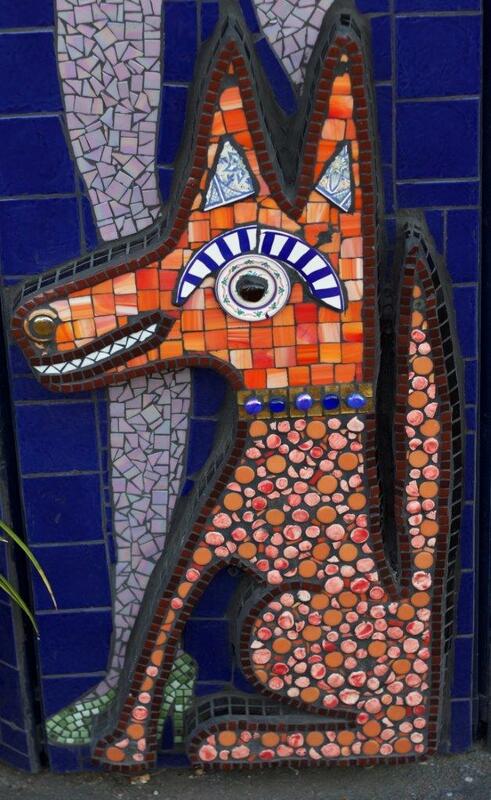 These include “outsider” art environments and the legacy of ancient Roman mosaics. Early in 2010, by chance, Mary Stuart the CEO of Luna Park visited my studio/gallery in Bentleigh, Melbourne. Mary loved my bird encrusted courtyard. The courtyard is totally covered in mosaics and bird figurines. 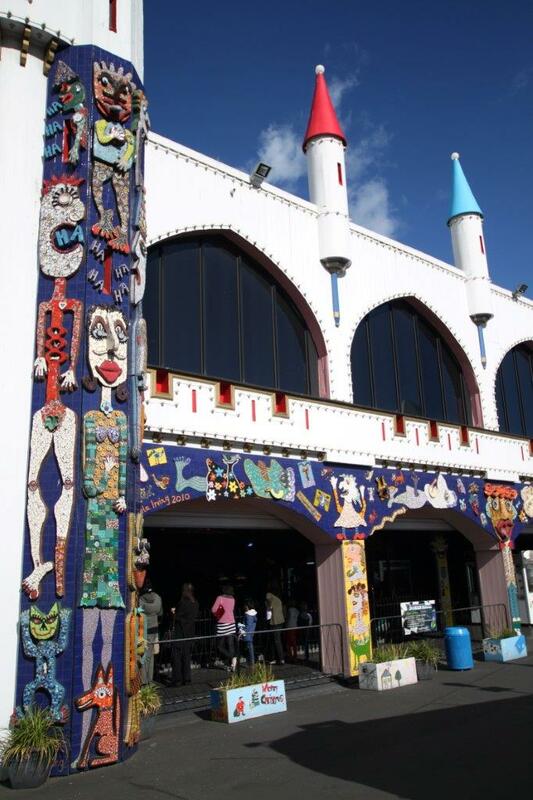 She invited me to create something quirky like the courtyard, for Luna Park. Hence the commission to commence work on the Luna Palace Building. 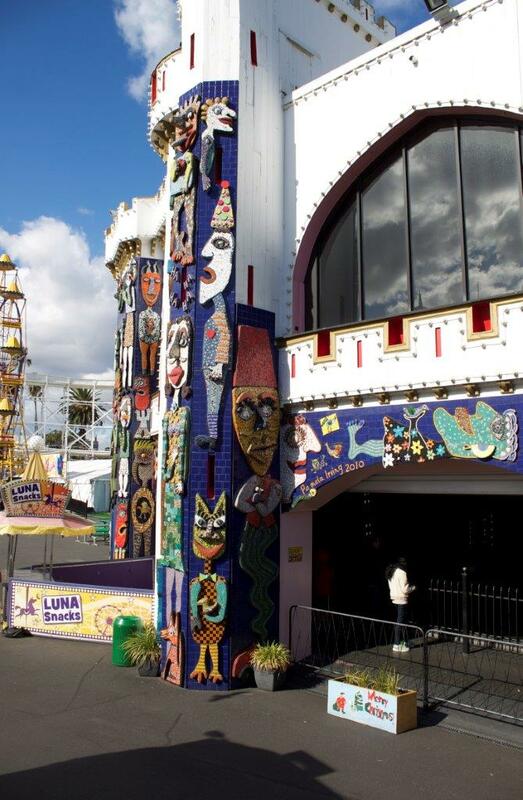 Luna Park is one of Australia’s oldest tourist attractions. It has been thrilling children and adults alike since 1912. The title “Dreaming with Open Eyes” is descriptive of my process, as I work in my studio, as I walk down the street I am dreaming and imagining my works. This commission is a dream come true. To create a large scale mosaic installation on one of Australia’s most iconic tourist attractions. The commission is now in its 4th year. Another large section will be added by the end of this year. ‘Dreaming with Open Eyes’, Pamela Irving. Photo credit: Jake Griffin. Thanks for sharing the post Nancie! Pingback: Pamela Irving » Luna Park.